A robot created by LG to help users control their smart home repeatedly failed on stage at its CES debut. Cloi was meant to be the centrepiece of the South Korean firm's presentation where it was supposed to show how new artificial intelligence tech could enhance use of kitchen appliances. Instead it gave no response to three consecutive commands beyond blinking. Experts say the demo represented a "disastrous" debut for the bot, which was mocked on social media. The event was the first press conference of the morning at the Las Vegas tech fair. Samsung, Intel, HTC and Sony are among other big companies scheduled to unveil products over the course of the day. LG's focus this year was to promote ThinQ, its in-house AI software, which it intends to roll out across various products to make them easier to use and capable of "evolving" to meet customers' needs. 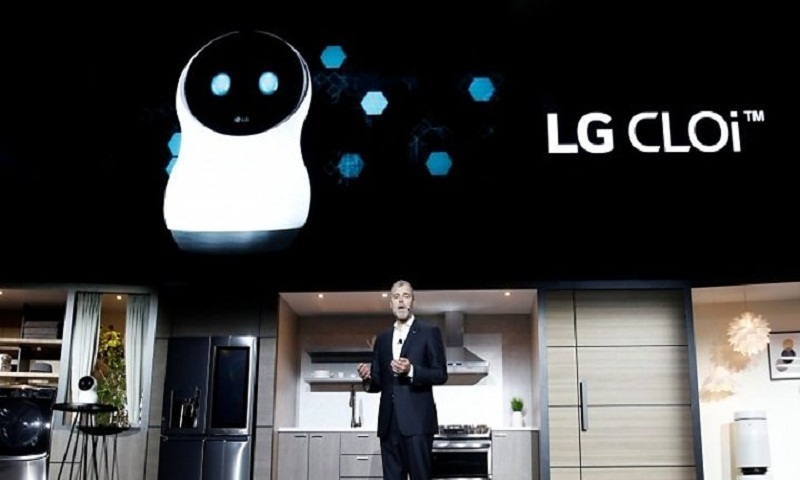 Although LG also includes Google's Assistant in some of its latest TVs and smart speakers, it has chosen to rely on its own solution for its robots. The firm already has robots in use in South Korean shopping centres and airports, and also makes robotic vacuums for the home. But Cloi - which is pronounced Kloh-ee - represents a push to put the technology at the heart of consumers' homes, reports BBC.